Recall 130162 started on 12/12/2018 by MFR effecting 169,481 units. Summary: Toyota Motor Engineering & Manufacturing (Toyota) is recalling certain 2002-2005 Lexus SC and Toyota Sequoia, 2003-2005 Toyota Corolla and Tundra, and 2003-2007 Pontiac Vibe vehicles. These vehicles are equipped with certain air bag inflators assembled as part of the passenger frontal air bag modules used as original equipment or replacement equipment. In the event of a crash necessitating deployment of the passenger frontal air bag, these inflators may explode due to propellant degradation. 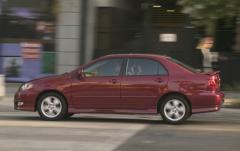 Remedy: Toyota will notify the Toyota and Lexus owners. General Motors will notify the Pontiac Vibe owners. Depending on the vehicle model, dealers will replace the front passenger air bag inflator with an alternate inflator, or replace the air bag assembly that includes an alternate inflator, free of charge. The recall is expected to begin January 14, 2019. Owners may contact Toyota customer service at 1-888-270-9371, Lexus customer service at 1-800-255-3987 or Pontiac customer service at 1-800-762-2737. Toyota's numbers for these recalls are J0A (Zone A Toyota), J0B (Zone B Toyota), J0C (Zone C Toyota), JLI (Zone A Lexus), JLJ (Zone B Lexus), and JLK (Zone C Lexus). Note: This recall includes vehicles that have had their air bag previously replaced under an earlier air bag campaign. Recall 109921 started on 05/13/2015 by MFR effecting 1,069,055 units. Summary: Toyota Motor Engineering & Manufacturing (Toyota) notified the agency on May 13, 2015, that they are recalling 2005-2007 Lexus SC, Toyota Corolla, Corolla Matrix, Sequoia, and Pontiac Vibe, and 2005-2006 Toyota Tundra vehicles that were originally sold, or ever registered, in Florida, along the Gulf Coast, Puerto Rico, Hawaii, the U.S. Virgin Islands, Guam, Saipan and American Samoa. On June 16, 2015 Toyota expanded the recall to cover an additional 769,055 vehicles, including certain model year 2002-2004 Lexus SC, Toyota Sequoia, 2003-2004 Toyota Corolla Matrix, Toyota Corolla, Pontiac Vibe, and Toyota Tundra vehicles, as well the vehicles covered by the May 13, 2015 notification in the portions of Georgia, Alabama, Louisiana, Mississippi and Texas that were not previously included. The inflators in the front passenger air bags are susceptible to rupture in the event of a crash necessitating the deployment of the front passenger air bag. Remedy: Toyota will notify their owners. Pontiac Vibe owners will be notified by GM. 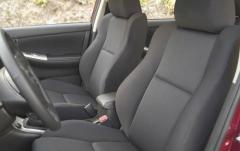 Dealers will replace the passenger side front air bag, free of charge. Owners may contact Toyota customer service at 1-800-331-4331. Toyota began the recall on July 13, 2015. 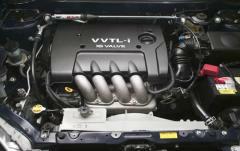 Pontiac Vibe owners may contact GM at 1-800-762-2737. GM began the recall on June 29, 2015. NOTE: This recacll supersedes recall 14V-655 in its entirety. For vehicles located in the U.S. states not listed above, please see Toyota recall 15V-285 which covers all other U.S. states. Recall 120202 started on 05/13/2015 by MFR effecting 1,973,468 units. Summary: Toyota Motor Engineering & Manufacturing (Toyota) notified the agency on May 13, 2015 that they are recalling certain model year 2004 Sequoia vehicles manufactured August 18, 2003, to August 19, 2004, and 2003-2004 Tundra vehicles manufactured March 18, 2003, to August 25, 2004. 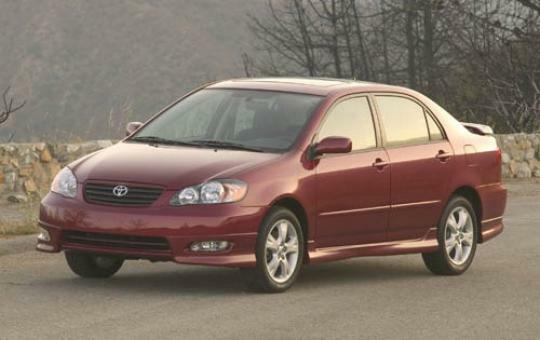 On June 16, 2015, Toyota expanded the recall to include an additional 1,270,468 vehicles, including model year 2002-2003 and 2005-2007 Sequoia, 2005-2006 Tundra, 2003-2007 Corolla, 2003-2007 Corolla Matrix, 2003-2007 Pontiac Vibe and 2002-2007 Lexus SC vehicles. This is to address a safety defect in the passenger side frontal air bag inflator which may produce excessive internal pressure causing the inflator to rupture upon deployment of the air bag. This recall addresses both the passenger side frontal air bags that were originally installed in the vehicles, as well as replacement air bags that may have been installed as replacement service parts. 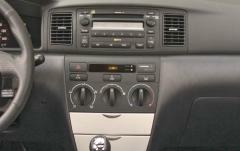 A replacement air bag may have been installed, as one example, if a vehicle had been in a crash necessitating the replacement of the passenger side frontal air bag. Remedy: Toyota will notify their owners. Pontiac Vibe owners will be notified by GM. 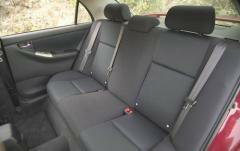 Dealers will replace the front passenger air bag. The recall began on July 13, 2015. Toyota owners may contact Toyota customer service at 1-800-331-4331. Pontiac owners may call 1-800-762-2737. NOTE: This recall supersedes recall 14V-312 in its entirety. Recall 81785 started on 08/26/2010 by ODI effecting 1,128,659 units. 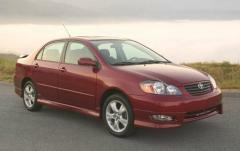 Summary: TOYOTA IS RECALLING CERTAIN MODEL YEAR 2005-2008 COROLLA AND COROLLA MATRIX VEHICLES. THE ENGINE CONTROL MODULE (ECM) FOR THE SUBJECT MODELS EQUIPPED WITH THE 1ZZ-FE ENGINE AND TWO-WHEEL DRIVE MAY HAVE BEEN IMPROPERLY MANUFACTURED. THERE IS A POSSIBILITY THAT A CRACK MAY DEVELOP AT CERTAIN SOLDER POINTS OR ON VARISTORS ON THE CIRCUIT BOARD. Consequence: THERE ARE A VARIETY OF WARNINGS AND CONSEQUENCES ASSOCIATED WITH THE DEFECT. 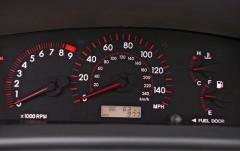 THE ENGINE WARNING LAMP COULD BE ILLUMINATED, HARSH SHIFTING COULD RESULT, THE ENGINE MAY NOT START, OR THE ENGINE COULD SHUT OFF WHILE THE VEHICLE IS BEING DRIVEN. 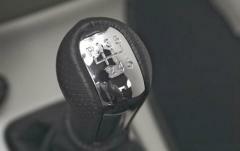 AN ENGINE SHUTOFF WHILE THE VEHICLE IS BEING DRIVEN INCREASES THE RISK OF A CRASH. Remedy: DEALERS WILL INSPECT THE PRODUCTION NUMBER OF THE ECM AND REPLACE THE ECM IF NECESSARY. THIS SERVICE WILL BE PERFORMED FREE OF CHARGE. 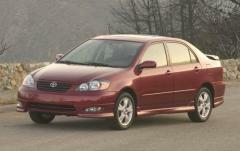 TOYOTA WILL MAIL AN INTERIM OWNER NOTIFICATION THE MIDDLE OF SEPTEMBER 2010 TO ADVISE OWNERS OF THIS DEFECT AND RECALL. THIS INTERIM NOTIFICATION WILL INFORM OWNERS THAT THEY WILL RECEIVE A FUTURE NOTIFICATION WHEN PARTS BECOME AVAILABLE TO HAVE THE FREE REMEDY PERFORMED ON THEIR VEHICLE. 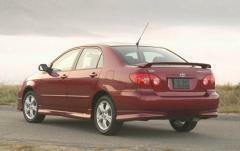 THE SAFETY RECALL BEGAN ON NOVEMBER 29, 2010. OWNERS MAY CONTACT TOYOTA AT 1-800-331-4331. Recall 85498 started on 05/11/2009 by OVSC effecting 42,540 units. Recall 83032 started on 04/07/2009 by OVSC effecting 16,270 units. Recall 38031 started on 07/17/2006 by OVSC effecting 4,029 units. Recall 61759 started on 03/13/2006 by OVSC effecting 292,000 units.